The sensory nervous system of the vertebrate head comprises the three paired sense organs, the eye, ear and olfactory epithelium, and the cranial sensory ganglia. It receives contribution from two cell populations: neural crest cells and sensory placodes. The latter are specialised neurogenic epithelia outside of the central nervous system, which arise from unique multipotential cells in the pre-placodal region. This review summarises our current understanding of how sensory placode progenitors are specified from non-committed embryonic ectoderm and how sensory placodes with characteristic identity are induced from those progenitors. In particular, it focuses on how different signalling pathways converge and are used repeatedly to impart distinct fates. The vertebrate head ectoderm contains unique neurogenic regions outside the central nervous system (CNS): the cranial sensory placodes. Like the neural plate, which generates the CNS, they are transient columnar epithelia. They form at distinct rostro-caudal positions next to the neural tube and contribute to the special sense organs associated with hearing, balance, olfaction and vision and to the distal parts of the cranial sensory ganglia (see Figure 1). Their derivatives generate a large variety of cell types ranging from simple lens fibre cells to sensory receptors and neurons. While some, like the otic and olfactory placode, undergo complex patterning events to form adult organs, others are simple neurogenic centres that shed neuroblasts into the underlying mesenchyme. Recent evidence highlights that, despite their diversity, all placodes arise from a common territory of multi-potential progenitors that is set aside during early embryogenesis. Precursors for different placodes undergo a series of cell fate decisions to acquire their unique identity and to generate diverse cell types once a placode is formed. This review concentrates on the molecular mechanisms that specify placode precursors in the embryonic ectoderm and lead to their segregation from other ectodermal derivatives, and the events that generate cell diversity among placode progenitors. Sensory placodes and their derivatives. The olfactory (yellow), lens (blue), trigeminal (green), otic (purple) and epibranchial (orange) placodes locate to characteristic positions here shown in a side view of a 3-day-old chick embryo. Their derivatives are shown with sense organs on the right and cranial ganglia on the left. Adapted from D’Amico-Martel and Noden, 1983. The diversity of adult structures and cell types derived form sensory placodes is immense and is briefly summarised below (see Figure 1; extensive descriptions are found in Webb, 1993, Baker and Bronner-Fraser, 2001, Schlosser, 2006). Three placodes contribute to sense organs: the olfactory, lens and otic. The olfactory placode is the most anterior of these and develops next to the forebrain. It generates odorant and pheromone receptor cells that project to the olfactory and accessory olfactory bulb, as well as supporting cells and a diverse set of neurons that express GnRH, somatostatin, neuropeptide Y and calbindin and migrate along the olfactory nerve into the CNS (Murakami and Arai, 1994, Hilal et al., 1996, Mulrenin et al., 1999, Toba et al., 2001, Wray, 2002). In addition, the olfactory placode contains a population of stem cells that regenerate olfactory neurons throughout life (Farbman, 1994, Schwob, 2002), which, because of their self renewing capacity, have generated considerable interest as a potential source of adult neural stem cells as have olfactory ensheating cells (Schwob, 2002, Dulac and Zakhary, 2004). Posterior to the olfactory lies the simplest of the placodes, the lens. This develops next to the future retina and generates the crystalline lens of the eye, composed of only two cell types: lens fibre cells and lens epithelial cells (Lang, 2004, Cvekl and Duncan, 2007). The lens is the only non-neurogenic sensory placode, but is included here because of its important function in vision and because it is generated from the same territory as the neurogenic placodes. Developing next to the hindbrain, the otic placode generates the entire inner ear including the cochlea, semicircular canals and endolymphatic duct and all associated sensory hair cells, the neurons that innervate them as well as endolymph secreting and supporting cells (Riley and Phillips, 2003, Barald and Kelley, 2004, Ohyama et al., 2007). Unlike these three placodes, the trigeminal and epibranchial (geniculate, petrosal and nodose) placodes do not undergo complex morphogenetic events, but are neurogenic patches that produce the distal parts of the trigeminal (Vth), VIIth, IXth and Xth cranial ganglia, respectively (D’Amico-Martel and Noden, 1983, Schlosser and Northcutt, 2000). While the trigeminal nerve transmits somatosensory information from the head, the epibranchial placode-derived neurons convey gustatory information from the oral cavity, and viscerosensory information from the heart and other visceral organs. The proximal parts of these ganglia are of neural crest cell origin, as are the glial cells that envelop their axons. This brief summary highlights the diversity of cell types generated by sensory placodes as they mature. However, at early developmental stages all placode precursors are located in a common territory, the pre-placodal region (PPR), which is defined by cell fate, gene expression and unique properties common to cells contained in it (reviewed in: Bailey and Streit, 2006, Schlosser, 2006, Streit, 2007). While at gastrula stages placode precursors are widely dispersed (Garcia-Martinez et al., 1993, Hatada and Stern, 1994, Streit, unpublished), a continuous placode territory can first be defined at neurula stages (Kozlowski et al., 1997, Streit, 2002, Bhattacharyya et al., 2004, Xu et al., 2008): all placode precursors locate to a band of ectoderm surrounding the neural plate from forebrain to hindbrain levels (see Figure 2A). Within this domain, precursors for different placodes are initially interspersed, but sort out gradually as development proceeds until unique placodes emerge (see Figure 2B,C). It is not clear whether scattered distribution of precursors with different fates reflects mixing of progenitors with distinct identity that segregate accordingly or whether individual cells are multipotent and differentiate according to signals from their environment. However, since placode cells become committed to their ultimate fate much later and can adopt different identities when exposed to appropriate signals (Waddington, 1937, Jacobson, 1963, Henry and Grainger, 1990, Gallagher et al., 1996, Baker et al., 1999, Groves and Bronner-Fraser, 2000, Bhattacharyya and Bronner-Fraser, 2008; for review: Baker and Bronner-Fraser, 2001) and since they initially share common characteristics (see below; Bailey et al., 2006, Martin and Groves, 2006), it seems more likely that the PPR represents a territory of multipotential progenitors. It is noteworthy that even at neurula stages placode precursors overlap medially with both future neural and neural crest cells, however, by the 3–4- somite stage cell fates have segregated with CNS precursors located in the neural plate, neural crest cells in the neural folds and placode progenitors in the non-neural ectoderm (Streit, 2002, Bhattacharyya et al., 2004). Location of placode precursors at different developmental stages. A. At neurula stages placode precursors are confined to the pre-placodal region (PPR) and surround the anterior neural plate (np). Precursors for different placodes shown by colour-coded dots are intermingled. B. and C. as development proceeds progenitors with different fates segregate. Note: even when the otic placode is morphologically distinct (purple in C.) new cells are still recruited into it. At the 10–12 somite stage precursors for different placodes are largely segregated, although overlap is still observed at territory borders. NP: neural plate; S: somite; HN: Hensen's node. These data are compiled from different fate maps in chick (Streit, 2002, Bhattacharyya, et al., 2004, Xu, et al., 2008); detailed maps from other species over several stages are not available. The restriction of cells with different fates to distinct territories is reflected by changes in gene expression (see Figure 3). Before gastrulation the embryonic region co-expresses pre-neural and non-neural genes in partially overlapping areas. However, these domains separate over time and a boundary is generated. Once the definitive neural plate emerges (defined by Sox2), the ectoderm immediately adjacent to it (the “border”) continues to co-express pre-neural (ERNI, Sox3, Geminin; Penzel et al., 1997, Rex et al., 1997, Kroll et al., 1998, Mizuseki et al., 1998, Streit et al., 2000, Kudoh et al., 2004, Papanayotou et al., 2008) and non-neural markers (Foxi1 genes, Gata2, -3, Dlx5, -3, Tfap2; Papalopulu and Kintner, 1993, Akimenko et al., 1994, Moser et al., 1995, Pera et al., 1999, Sheng and Stern, 1999, Luo et al., 2001, Bakkers et al., 2002, Knight et al., 2003, Liu et al., 2003, Luo et al., 2003, Ohyama and Groves, 2004, Matsuo-Takasaki et al., 2005, Hoffman et al., 2007), while the future epidermis is devoid of pre-neural genes. Shortly thereafter, Six and Eya gene expression begins in the placode territory (Mishima and Tomarev, 1998, Esteve and Bovolenta, 1999, Kobayashi et al., 2000, Pandur and Moody, 2000, McLarren et al., 2003, Bessarab et al., 2004, Schlosser and Ahrens, 2004, Litsiou et al., 2005, Ishihara et al., 2008), where Dlx and Foxi1 transcripts are also increased. Finally, neural crest markers (Snail2, Pax7; Nieto et al., 1994, Mayor et al., 1997, Basch et al., 2006) appear, separating neural and placodal domains. Interestingly, ERNI, which is also expressed in chick embryonic stem cells (Acloque et al., 2001), has recently been implicated in maintaining cells in an undifferentiated state (Papanayotou et al., 2008). In vivo, it prevents premature differentiation of neural cells by recruiting co-repressors to the N2 enhancer of the definitive neural marker Sox2. This inhibition is ultimately released by the ERNI-interacting protein Bert. All components of this nuclear complex remain present in PPR until the onset of placode specific gene expression suggesting that PPR cells retain their multipotency. Temporal changes of gene expression reflect segregation of cell fates. At pre-gastrula stages pre-neural (pre-N) and non-neural (non-N) markers partially overlap. The expression domains begin to segregate as the neural plate (NP; Sox2) forms and a border territory (B) is established at its edge, where pre-neural and non neural markers continue to be expressed. Placode precursor specific genes (Six and Eya) are first observed in the border at neurula stages, where they partially overlap with neural crest (NC) markers. By early somite stages, gene expression domains have sharpened and the placode territory (PPR) lies lateral to the neural crest domain. Note: the expression of TFAP2 shown here represents the combined expression of TFAP2a, b and c.
The PPR is defined not only by cell fate and gene expression, but most importantly by unique properties that distinguish it from all other ectodermal derivatives. Only when cells have reached a ‘pre-placodal’ state (i.e. express PPR specific genes) do they have the ability to respond to placode-inducing signals. For example, non-placodal ectoderm is not competent to respond to the otic inducer FGF2 (Martin and Groves, 2006). However, when grafted into the PPR, the same tissue turns on PPR-specific transcripts and expresses otic markers when exposed to FGF2. These experiments suggest that the PPR indeed is a unique territory and the ‘pre-placodal’ state is a prerequisite for cells to develop into mature placodes. In addition, cells within the PPR initially share a common developmental program: irrespective of their ultimate fate, at PPR stages they are all specified as lens (Bailey et al., 2006). When explants from different anterior-posterior PPR levels are cultured in isolation, they initiate lens specific gene expression in a sequence identical to normal lens development and form lens-like structures that express lens-specific crystallins. These findings have two important implications relevant to stem cell research. First, they demonstrate that ectodermal cells contain all information required to execute the lens program already at early developmental stages. Thus, with the emerging knowledge of the signals that induce the PPR (see below), it should be possible to generate lens cells from embryonic or adult stem cells. Second, the data imply that in order to generate placodes other than lens with neurogenic properties, lens differentiation has to be suppressed. The cellular and molecular mechanisms that lead to lens repression will be discussed below. Of the many transcription factors that are co-expressed in the PPR, only members of the Six and Eya families coincide precisely with the position of placode precursors (Mishima and Tomarev, 1998, Esteve and Bovolenta, 1999, Kobayashi et al., 2000, Pandur and Moody, 2000, McLarren et al., 2003, Bessarab et al., 2004, Schlosser and Ahrens, 2004, Litsiou et al., 2005, Ishihara et al., 2008). In vertebrates, six Six genes have been identified (Six1–6), while there are only four Eya genes (Eya1–4; for review: Kawakami et al., 2000, Wawersik and Maas, 2000, Hanson, 2001, Rebay et al., 2005). Six proteins are DNA binding factors that physically interact with Eya, which in turn recruit co-activators to activate downstream target genes (Pignoni et al., 1997, Ohto et al., 1999, Ikeda et al., 2002, Li et al., 2003, Rayapureddi et al., 2003, Hu et al., 2008). Six proteins can also act as transcriptional repressors by recruiting co-repressors such as Groucho (Zhu et al., 2002, Lopez-Rios et al., 2003). Cells in the PPR co-express Six1, Six4, Eya1 and Eya2, while a different combination of family members is expressed in each mature placode (Mishima and Tomarev, 1998, Esteve and Bovolenta, 1999, Kobayashi et al., 2000, Pandur and Moody, 2000, McLarren et al., 2003, Bessarab et al., 2004, Schlosser and Ahrens, 2004, Litsiou et al., 2005, Ishihara et al., 2008). The importance of Six and Eya genes for sensory organ development was initially demonstrated in Drosophila (for review: Kumar and Moses, 2001, Donner and Maas, 2004, Pappu and Mardon, 2004, Rebay et al., 2005), where loss of either of the founder members of the Six and Eya families, sine occulis (So) and eyes absent (Eya), causes reduction or complete loss of the eye (Bonini et al., 1993, Cheyette et al., 1994, Mardon et al., 1994, Quiring et al., 1994, Serikaku and O’Tousa, 1994). In contrast, misexpression of So together with Eya results in the formation of ectopic eyes (Halder et al., 1995, Bonini et al., 1997, Chen et al., 1997, Pignoni et al., 1997, Shen and Mardon, 1997, Weasner et al., 2007). 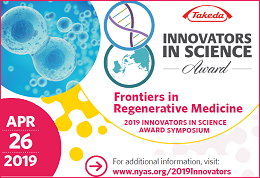 Since then, loss of Six and Eya function in mouse, zebrafish and humans has demonstrated their involvement in vertebrate sensory organ formation, specifically for cell proliferation and neurogenesis. In particular, inactivation of Six1 or Eya1 results in defects in the ear, cranial ganglia and the olfactory epithelium, while in humans their mutation leads to Branchial-Oto-Renal (BOR) syndrome associated with deafness, renal and branchial malformations (Abdelhak et al., 1997, Johnson et al., 1999, Xu et al., 1999, Azuma et al., 2000, Laclef et al., 2003, Li et al., 2003, Zheng et al., 2003, Ozaki et al., 2004, Ruf et al., 2004, Zou et al., 2004, Friedman et al., 2005, Kozlowski et al., 2005, Whitfield, 2005, Zou et al., 2006). Thus, normal development of almost all placodes is affected in the absence of Six1 and Eya1 function, reflecting their early widespread expression and a possible function in the PPR. However, none of these studies has addressed an early role of these genes and since members of the same family have similar functions they may compensate for each other. In Xenopus, Six1 promotes the expression of preplacodal markers, while repressing neural crest and neural plate formation (Brugmann et al., 2004). These findings suggest that the Six/Eya cassette may play a role in specifying placode precursors at early developmental stages. However, unlike in the fly, misexpression of Six1 and Eya2 in vertebrates does not lead to ectopic placode formation outside of the PPR (Christophorou and Streit, unpublished), indicating that additional factors are required and/or that placode formation underlies more complex regulatory mechanisms. In summary, while there is good evidence that Six and Eya proteins play an important role in different aspects of placode development and cell fate specification within the placodes, further experiments are required to determine their precise role in specifying placode progenitors. In particular, it will be important to identify their immediate transcriptional targets. As discussed above, sequential gene expression and refinement reflects the subdivision of the ectoderm into regions of progenitors with restricted developmental potential. Multiple signalling pathways control these events and converge to impart distinct properties to sensory placode precursors and to induce Six and Eya gene expression in ectodermal cells. Fgfs have been implicated as the earliest factors that impart pre-neural character before gastrulation by rapidly (within 1–3 hrs) initiating the expression of ERNI, Sox3 and Geminin (Streit et al., 2000, Wilson et al., 2000, Sheng et al., 2003, Linker and Stern, 2004, Delaune et al., 2005, Papanayotou et al., 2008). In addition, Fgfs can induce the expression of Dlx5 and Msx1 after 12–15 hrs (Streit and Stern, 1999, Litsiou et al., 2005). All five genes are later co-expressed at the border of the neural plate, which generates placode and neural crest precursors. While FGF signalling is indeed required for border gene expression and for the formation of border derivatives, it is not sufficient to generate them in non-border territory (Mayor et al., 1997, LaBonne and Bronner-Fraser, 1998, Monsoro-Burq et al., 2003, Ahrens and Schlosser, 2005, Litsiou et al., 2005). In addition, FGF8 induces the expression of the PPR marker Eya2, suggesting that it may play a dual role in specifying placode precursors (Litsiou et al., 2005). Accordingly, the mesoderm underlying the border and the neural plate adjacent to it express various FGFs (Niswander and Martin, 1992, Shamim and Mason, 1999, Streit and Stern, 1999, Ahrens and Schlosser, 2005). These observations suggest a role for Fgfs in promoting pre-neural and later border character in ectodermal cells as a prerequisite to generate definitive neural, neural crest and placode cells. Many studies have implicated Bmp signalling in early ectodermal patterning (Wilson et al., 1997, Marchant et al., 1998, Barth et al., 1999, Tribulo et al., 2003; for review Sasai and De Robertis, 1997, Aybar and Mayor, 2002, Stern, 2005). One model suggests that a gradient of Bmp activity within the ectoderm allocates different cell fates, with high levels of signalling promoting epidermis, moderate levels inducing placodes, intermediate levels specifying neural crest and complete absence of Bmp activity being required for neural plate formation (for review Sasai and De Robertis, 1997, Aybar and Mayor, 2002, Vonica and Brivanlou, 2006). Accordingly, Xenopus animal caps treated with Bmp antagonists form epidermis, pre-placodal tissue, neural crest and neural plate, respectively, with increasing concentrations (Wilson et al., 1997, Tribulo et al., 2003, Brugmann et al., 2004, Glavic et al., 2004). When Bmp signalling is reduced in zebrafish mutants, creating a shallower gradient of activity, the neural crest territory is expanded to a relatively larger extent than the neural plate, while the position of the PPR shifts but its width does not change (Neave et al., 1997, Nguyen et al., 1998, Barth et al., 1999). Together with a recent study demonstrating that Bmp inhibition at different times of development has distinct outcomes (Wawersik et al., 2005), these observations are at odds with a simple gradient model. If not as a gradient, how does Bmp signalling influence ectodermal patterning? Several non-neural markers like FoxiIa, Msx1, Dlx3 and –5, which are expressed early and widespread, are dependent on Bmp activity. In zebrafish Bmp7 and –2a mutants, FoxiI expression is reduced, while in Xenopus expression of the Bmp antagonist Chordin leads to its downregulation (Matsuo-Takasaki et al., 2005, Hans et al., 2007). In contrast, Bmp4 misexpression expands FoxiI at the expense of neural tissue. Likewise, reduction or absence of Bmp signalling in chick, frog and fish leads to loss of Dlx genes (Nguyen et al., 1998, Feledy et al., 1999, Pera et al., 1999, Luo et al., 2001), and Msx1, a direct target of Bmp signalling, mediates its ability to promote epidermis (Suzuki et al., 1997). These data implicate Bmp activity in the regulation of border genes and the positioning of the border. Indeed, the border itself appears to be the only region sensitive to modulation of Bmp signalling (Streit and Stern, 1999). Local inhibition of Bmp signalling close to the border expands the neural plate and the PPR, but is not sufficient to induce either in future epidermis (Streit et al., 1998, Glavic et al., 2004, Linker and Stern, 2004, Ahrens and Schlosser, 2005, Delaune et al., 2005, Litsiou et al., 2005). 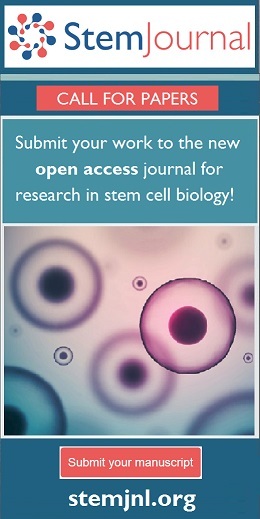 In fact, PPR markers are expressed in cells expressing exogenous Smad6, a cell-autonomous Bmp inhibitor which, unlike soluble Bmp antagonists, completely abolishes the pathway, suggesting that Bmp activity is not required for the formation of placode progenitors, but indeed needs to be suppressed. This is in direct conflict with a recent study claiming that Bmp signalling induces placode progenitors (Sjodal et al., 2007). However, since the test tissue used is equivalent to the border region at gastrula stages, it is likely that Bmp signalling promotes border identity which subsequently generates sensory precursors. In summary, these findings implicate Bmp activity, like Fgf signalling, in the regulation of border-specific genes before placode and neural crest cells are specified. It is noteworthy that at a slightly later point in development Bmp signalling in the neural folds is required for neural crest cell formation. This observation highlights the importance of timing and the fact that interpretation of the same signalling pathway is highly context dependent and is determined by the developmental history of individual cells (for discussion see also: Sheng et al., 2003, Stern, 2005). Interestingly, gain- and loss-of-function studies for the border specific transcription factors Foxi1, Dlx3 and –5 and Msx1, which are regulated by Bmp, show the same effect as modulation of Bmp activity: the border of the neural plate is shifted. It is therefore likely that Bmp signalling acts via these mediators to alter pre-placodal gene expression indirectly. Indeed, FoxiI and Dlx genes are required for PPR specification and/or placode development, while Dlx genes have been shown to be sufficient to induce some PPR markers (Luo et al., 2001, Solomon and Fritz, 2002, Lee et al., 2003, McLarren et al., 2003, Nissen et al., 2003, Solomon et al., 2003, Woda et al., 2003, Kaji and Artinger, 2004). As discussed above, both Fgfs and Bmps modulate gene expression in the PPR: inhibition of Bmp signalling expands preplacodal markers, while FGF8 promotes the expression of Eya2 (Brugmann et al., 2004, Ahrens and Schlosser, 2005, Litsiou et al., 2005). However, even when Fgfs are combined with Bmp antagonists, they are not sufficient to induce PPR character in ectoderm away form the endogenous placode territory (Ahrens and Schlosser, 2005, Litsiou et al., 2005) suggesting that additional signals are required. Inhibition of canonical Wnt signalling enlarges the neural plate (Heeg-Truesdell and LaBonne, 2006), while Wnt signalling is necessary for neural crest cell development (for review: Aybar and Mayor, 2002, Knecht and Bronner-Fraser, 2002). When Wnt signalling is modulated pre-placodal cells behave like CNS progenitors: in the presence of Wnt antagonists the PPR expands, while activation of the canonical Wnt pathway prevents PPR specific gene expression (Brugmann et al., 2004, Litsiou et al., 2005). Thus, in the border region the level of Wnt signalling determines whether cells adopt placode or neural crest fate. In summary, temporal and spatial integration of different signals results in the specification of placode precursors characterised by the co-expression of Six1, Six4, Eya1 and Eya2. FGFs initially promote a pre-neural state that is common to neural, neural crest and placode precursors and in which cells are multipotent. Bmp signalling promotes non-neural character and limits the size of the neural plate. Together with Fgfs, Bmp activity maintains and up-regulates border gene expression and local modulation of Wnt signalling determines whether cells within the border are specified as neural crest or placode precursors. Overall, the signals required for placode progenitors specification are akin to those that promote neural identity raising the possibility that both populations share some of the early inducing steps. So far the discussion has focused on the properties and induction of placode progenitors. The remaining part of the review will summarise how, once the PPR is established, placodes with distinct identities emerge. Shortly after PPR induction, differential expression of several transcription factors is observed along its anterior-posterior axis, reflecting its regional subdivision (see Figure 4). As development proceeds more factors become expressed in smaller sub-domains until eventually each placode is defined by a unique transcription factor code. These changes in gene expression have recently been reviewed elsewhere (Schlosser, 2006) and a detailed description is beyond the scope of this review. Suffice it to say, however, that many of the factors involved have already been implicated in imparting regional identity onto cells of the neural plate. Future experiments will need to address whether they have similar functions in the PPR and are responsible for sequential subdivision of the placode territory. Sequential subdivision of the placode territory. Once established the PPR becomes sequentially subdivided into smaller domains reflected by differential gene expression. This diagram shows only a few examples of the earliest events. Colour-coded bars at the top and bottom indicate the position of placode precursors at neurula and early somite stages, respectively. Anterior is to the left and posterior to the right of the diagram. What are the signalling pathways that control regionalisation in the PPR? Some observations suggest that the signals may be similar to those that pattern the neural plate. For example, in zebrafish masterblind mutants, which have increased Wnt activity due to loss of axin, anterior forebrain structures are lost (Heisenberg et al., 1996, Heisenberg et al., 2001). In addition, the most anterior placodes, lens and olfactory, are absent, while the trigeminal territory appears to be expanded. Likewise, the posteriorising factors FGF and RA have been implicated in formation of the most caudal placode, the otic primordium (Ladher et al., 2000, Vendrell et al., 2000, Phillips et al., 2001, Leger and Brand, 2002, Maroon et al., 2002, Liu et al., 2003, Wright and Mansour, 2003, Hans et al., 2007, Hans and Westerfield, 2007, Zelarayan et al., 2007). Whether or not all of these signalling pathways are active in the placode territory itself or whether they act indirectly through patterning of the neural plate remains to be elucidated. Initially all placode precursors share common properties: irrespective of their final fate, they are specified as lens (see Figure 5A). This finding implies that, to generate neurogenic placodes, lens specification needs to be suppressed. Fgf signalling seems to play an important role in initiating this process. Exposure of pre-placodal ectoderm to FGF8 leads to rapid loss of the early lens marker Pax6 (Bailey et al., 2006). In addition, activation of the FGF pathway promotes olfactory identity, while depending on species FGF2, −3, −8, −10 and −19 have been implicated in otic induction and FGF3 and −8 in the induction of epibranchial placodes (Ladher et al., 2000, Vendrell et al., 2000, Phillips et al., 2001, Leger and Brand, 2002, Maroon et al., 2002, Liu et al., 2003, Wright and Mansour, 2003, Nechiporuk et al., 2005, Bailey et al., 2006, Hans et al., 2007, Hans and Westerfield, 2007, Nechiporuk et al., 2007, Nikaido et al., 2007, Sun et al., 2007, Zelarayan et al., 2007). It therefore seems that Fgf signalling plays a crucial role in suppressing lens and promoting the formation of other, non-lens placodes (see Figure 5B). A model for lens repression. At neurula stages the entire placode territory is specified as lens (blue). Initially Fgfs from the anterior neural ridge, the future hindbrain and the mesoderm underlying the otic placode (not indicated in the diagram) repress lens specification. Fgf8 is also expressed in the future mid-hindbrain boundary, however a role in lens suppression and trigeminal placode specification has not yet been shown (empty arrow). Neural crest cells come to underlie most of the facial ectoderm and are potent lens suppressors (purple arrows). These observations, however, raise the question of how activation of the same signalling pathway leads to fundamentally different outcomes and the specification of different sensory structures. One important aspect is timing. For example, while in zebrafish inhibition of Fgf signalling during gastrulation prevents the formation of the otic (Phillips et al., 2001, Maroon et al., 2002), inhibition at later stages using the same reagents leaves the otic primordium intact but suppresses the development of epibranchial placodes (Nechiporuk et al., 2007). One possibility is that otic and epibranchial precursors initially form a common territory, which is then further subdivided by additional signals (Nechiporuk et al., 2007, Sun et al., 2007). In fact, recent studies in the chick have implicated Fgfs in the induction of this common primordium (Freter et al., 2008). While continued otic specification subsequently requires the absence of FGF signalling and reinforcement by a combination of Wnt and Notch, epibranchial precursors continue to depend on FGF alone (Ohyama et al., 2006, Jayasena et al., 2008; Freter et al., 2008). Thus, length or level of Fgf exposure determines the final outcome. Finally, as highlighted above, regionalisation of the PPR begins already shortly after its induction. Thus, at the time when Fgfs act to specify different placodes, cells within the PPR have already acquired some regional identity reflected by differential expression of transcription factors that may act in concert with Fgf targets to impart cell identity. Recent data also reveal that while Fgf is crucial for initiating lens suppression, it is not sufficient to prevent lens formation in all non-lens ectoderm, suggesting that additional signals are required (Bailey et al., 2006). These signals emanate from neural crest cells, which come to underlie most of the facial ectoderm except for the lens. Co-culture experiments reveal that neural crest cells prevent lens formation from presumptive lens ectoderm. In contrast, ablation of neural crest cells leads to ectopic lens formation, suggesting that indeed neural crest cells are potent lens inhibitors. The signals responsible for this activity have not yet been identified. While neural crest cells do not appear to instruct cranial ectoderm to differentiate into specific placodes, they play a role in patterning the olfactory placode once it is established (LaMantia et al., 2000, Bhasin et al., 2003). Lens specification at pre-placodal stages has so far only been demonstrated in the chick, while the inhibitory influence of neural crest cells has been observed in chick as well as newts (von Woellwarth, 1961, Bailey et al., 2006). In contrast, lens specification in mouse and Xenopus appears to occur only after contact with the optic vesicle (Henry and Grainger, 1990, Grainger et al., 1997, Furuta and Hogan, 1998). One possible explanation for these differences is that in chick neural crest cells are never in contact with the future lens ectoderm, while in mouse and Xenopus they are. In chick the optic vesicle makes close contact with the future lens shortly after the onset of neural crest migration and thus provides a mechanical barrier (Bellairs and Osmond, 1998). On the other hand in mouse and Xenopus, direct contact between the optic vesicle and lens ectoderm is established rather late and mesenchymal cells that may be of crest origin underlie the lens territory (Kaufman, 1979, Nieuwkoop and Faber, 1994). This in turn may prevent its early specification. Future experiments will need to address this issue in different species. As illustrated above Fgf signalling plays an important role in the induction of olfactory, epibranchial and otic placodes from placode progenitors. However, conferring definitive placode identity generally entails different sequential or simultaneous signals. Otic induction by Fgfs is well documented through loss- and gain-of-function approaches in mouse, zebrafish and chick (see above). These studies clearly demonstrate a crucial role for this pathway. However, once early otic genes like Pax2 are expressed, Pax2+ cells only continue along the otic pathway, when Fgf signalling is reduced (Freter et al., 2008) with. In addition, they require reinforcement through Wnt and Notch signalling (Ohyama et al., 2006, Jayasena et al., 2008). When canonical Wnt signalling is inhibited in Pax2+ cells, they revert to epidermis, while activation of Wnt leads to a larger placode. In this context, Notch signalling cooperates with Wnt to promote otic character. Fgfs also mediate epibranchial placode induction and one model suggests that epibranchial precursors initially form a common territory with otic cells, but later diversify (Nechiporuk et al., 2005, Nechiporuk et al., 2007, Nikaido et al., 2007, Sun et al., 2007). Recent evidence suggests that unlike otic progenitors, epibranchial precursors require continued Fgf signalling, but are inhibited in the presence of Wnt activity. Thus the level or time of exposure to Wnts determines whether cells follow otic or epibranchial fates. Epibranchial neurogenesis is dependent on Bmp signals from the underlying endoderm (Begbie et al., 1999, Holzschuh et al., 2005). So far, Fgf signalling has not been implicated in trigeminal placode induction. In contrast, PDGF and canonical Wnt signalling are required for initiation of the early trigeminal marker Pax3 and subsequently for trigeminal neurogenesis (Lassiter et al., 2007, McCabe and Bronner-Fraser, 2008). While activation of the Wnt pathway does not expand the placode territory, ectopic expression of PDGF increases the number of Pax3+ cells. These data suggest that while Wnt signalling is active in the trigeminal ectoderm and required for its formation, it is not sufficient to confer trigeminal character onto placode precursors. Importantly, PDGF is only sufficient to augment the number of trigeminal cells, but not to induce them ectopically (McCabe and Bronner-Fraser, 2008) indicating that additional signals are required for trigeminal specification. Although Fgfs initially suppress lens character, at placode stages Fgf signalling is important for continued lens development (Faber et al., 2001). In addition, Bmp activity is required for the activation of placode specific gene expression like Sox2 and placodal Pax6 (Furuta and Hogan, 1998, Wawersik et al., 1999). A recent study in chick has implicated Bmp signalling in lens specification from gastrula stage ectoderm (Sjodal et al., 2007). However, since the test tissue contains a mixture of different progenitors including future retina, neural plate and border territory, it remains unclear whether this activity is truly an instructive induction or whether it is indirect, acting through modulation of other precursors. Finally, Fgf signalling is sufficient and required to generate olfactory placodes from pre-placodal ectoderm (Bailey et al., 2006). The same study that had implicated Bmp signalling in early lens specification (Sjodal et al., 2007) also suggested that Bmps are involved in olfactory placode specification, with low levels or shorter exposure to Bmps favouring olfactory versus lens differentiation. However, as outlined above, it is not certain that in this scenario Bmps act directly on placode precursors or on different progenitors which in turn may induce olfactory cells. This review highlights that specification of sensory placodes is a complex process that begins before gastrulation and involves a series of cell fate decision before multi-potential placode progenitors are specified in the ectoderm next to the neural plate (see Figure 6). During this process, future placode cells first acquire a pre-neural identity, which they share with neural and neural crest cell precursors. Subsequently, they acquire a border state characteristic for cells in the immediate vicinity of the neural plate, from which placode precursors eventually emerge. Once the placode territory has been established, localised, sequential signalling events lead to the repression of lens specification and the induction of neurogenic placodes with distinct identities. These processes are controlled by a number of pathways including Fgf, Bmp and Wnt signalling, which act repeatedly at different times of sensory placode specification. The process of placode specification is accompanied by the increasingly complex array of transcription factors that ultimately appear to encode placode identity. In the future, our understanding of how cell fate decision are controlled to generate sensory progenitors will be useful to direct stem cells towards specific fates such as auditory hair cells or different sublcasses of sensory neurons. Signalling pathways in placode formation. The diagram summarises the signalling pathways that have been implicated in the specification of the pre-placodal region and in the induction of placodes from the pre-placodal region. Note: the pre-placodal region is initially specified as lens. Bailey, A.P. Streit, A. (2006). Sensory organs: making and breaking the pre-placodal region. In Curr Top Dev Biol , 167–204. Dulac, C. Zakhary, L. (2004). Stem Cells of the Olfactory Epithelium Handbook of Stem Cells Lanza, R. Gearhart, J. Hogan, B. Melton, D. Pedersen, R. Thomson, J. West, M. Burlington: Academic Press; , 233–244. Waddington, C.H. (1937). The determination of the auditory placode in the chick. J Exp Biol 14, 232–239. Webb, [[UNSUPPORTED:name/given-names]]. (1993). Ectodermal placodes: contributions to the development of the vertebrate head. Am Zool 33, 434–447. Copyright: © 2008 Andrea Streit. *Edited by Fiona Watt and Fred Gage. Last revised November 20, 2008. Published December 15, 2008. This chapter should be cited as: Streit, A., The cranial sensory nervous system: specification of sensory progenitors and placodes (December 15, 2008), StemBook, ed. 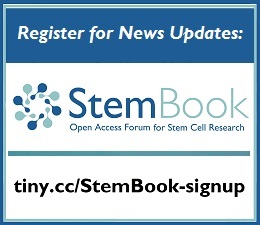 The Stem Cell Research Community, StemBook, doi/10.3824/stembook.1.31.1, https://www.stembook.org.